Here are Acer Nitro 5 AN515-42 drivers for Windows 10 64 Bit you can download and install to get your laptop operate properly. 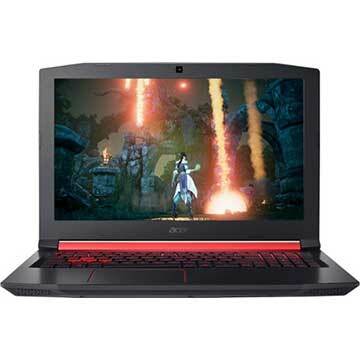 Acer Nitro 5 AN515-42 is 15.6 inch gaming laptop powered by 2 GHz AMD Ryzen 5 2500U quad-core processor with discrete AMD Radeon RX 560X graphics video card with dedicated 4 GB GDDR5 video memory. This Acer Nitro 5 AN515 notebook PC comes with 8 GB DDR4 SDRAM system memory and 1 TB Serial ATA hard disk drive to store your documents. This mobile computer features IEEE 802.11ac Wi-Fi, memory card reader slot, backlit keyboard, USB 3.1 Gen 1 port, HDMI port, two stereo speakers, 4-cell Lithium Ion (Li-Ion) 3320 mAh battery. These drivers are compatible with these models : Acer Nitro 5 AN515-42 an515-42-r5ed, an515-42-r8hn, an515-42-r00y, an515-42-r9g7, an515-42-r3vu, an515-42-r3ur, an515-42-r5j7.